The past few weeks I fell into a habit of playing games on my cell phone in my free time. “Just one quick game,” I’d tell myself. Then I’d find that I had been playing for thirty minutes, and now I’d lost the motivation and time to do anything else, so I’d just keep playing until bedtime. The next thing I knew I had quickly fallen into a nightly habit of zoning out that way, and I’d lost all inspiration for meaningful, purposeful action (or intentional inaction). A few days ago, I listened to Mark Nepo’s audio program Holding Nothing Back while doing household chores. As I was listening, I immediately felt things shifting inside of me. It snapped me out of this going-through-the-motions rut I had been in and inspired me to live life more fully. Since then, I have been making more conscious choices about how I want to spend my time and energy. I wish I could just decide to feel inspired and it would happen, but it doesn’t always work that way. We can’t force inspiration, but we can, as my dear friend and teacher Tobin Hart says, woo and welcome it, as happened to me with the audio program. We can cultivate the ground in which it grows. Below is a list of things that woo inspiration, creativity, and joy for me. It’s helpful to have a list so that when I get in a rut, I have multiple ways I can invite inspiration back in. I share it in the hopes that it will help you connect with what inspires you. 1. Listen to an inspiring audio program or podcast. 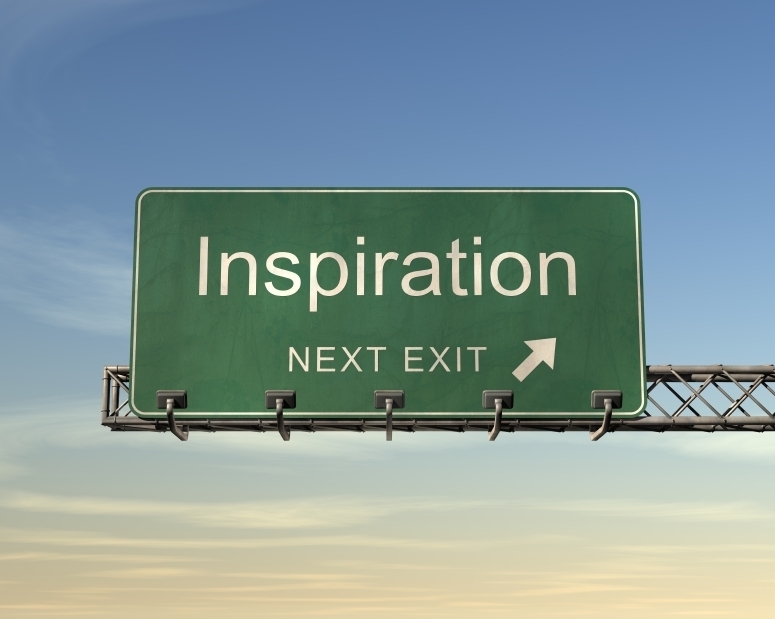 There are many inspiring free programs available online and at the library. One of my favorites is Buddhist teacher and psychotherapist Tara Brach’s weekly dharma talk, which is accessible as a free podcast. I am also a Ted Talk junkie. 2. Music. Listen to music or, even better, make your own. Also helpful is listening to bilateral sounds that stimulate both hemispheres of the brain. This quickly helps me shift into a calmer, more whole-brained state, ripe for wooing creativity and joy. 3. Go outside. I especially love a walk in the woods, camping, and lake swimming. But when those things aren’t accessible, something as simple as sitting on my back porch or walking through my neighborhood help cultivate the ground for inspiration. 4. Move your body. Movement regulates blood flow in the brain, stimulating creativity. When I exercise with this intention in mind it helps even more. Some of my favorite kinds of movement are yoga, dancing, walking, swimming, and jogging. 5. Ask. 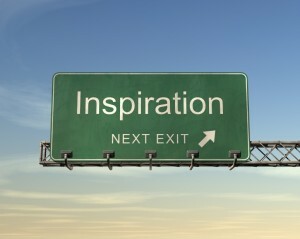 Sometimes I just ask for inspiration, much like an intention or a prayer. I invite all parts of me to open to the creativity and joy that is already within me. Once I ask for inspiration, I let go and stay on the lookout for it, because I know it will be there if I am willing to receive it. 6. Play! I know I don’t play enough. I spend far too much time focused on my to-do list. But the truth is, in order to feel inspired and creative we need to play and for significant amounts of time. Play is so limited in my life that I know I would benefit from making an additional list of ways to play. That list might include speaking in silly voices, a dance party in my kitchen, board games that make me laugh, throwing a ball, hula hooping, stilt walking, laughter yoga, etc. 7. Journal. Having a place to express myself fully, even if self-expression means complaining about feeling completely uninspired in my life, helps me become more conscious of what is really going on. Often times processing my feelings, struggles, and experiences in writing gives rise to inspiration. Sometimes just giving it a voice helps it shift. 8. Meditate. Being still and quiet invites inspiration and creativity. 9. Spend time with someone inspirational. I’ve learned to pay close attention to how I feel after my encounters with different individuals in my life. When I am in a rut, it is a good idea for me to seek out the people with whom I tend to feel enlivened and inspired. And it’s better for me to avoid too much contact with individuals with whom our interactions leave me feeling depleted and uninspired, ready to head straight to bed with my cell phone game. 10. Make healthy food choices. When I eat a healthy diet of natural foods, I feel more alive in general. This helps with inspiration. 11. Say no to things that keep me feeling uninspired. There are certain things that I know do not in any way woo inspiration. For me that list might include too much screen time, too much busy-ness, junk food, inactivity, and certain relationships. 12. Psych-k ®. Psych-K is a set of “belief-change technologies” that rapidly shift limiting beliefs to more supportive ones. It can be used to address beliefs that may be limiting us from accessing inspiration, expressing creativity, and feeling joy. 13. Emotional Freedom Techniques (EFT). EFT, or Tapping, involves tapping with your fingertips on meridian end points that are used in acupuncture and acupressure, and can be extremely effective at quickly reducing resistance to creativity, inspiration, and action. I am always open to new ideas and reminders to help me live a more inspired life. I welcome you to share your ways of wooing inspiration below. As a recovering perfectionist, I am intimately familiar with my inner critic and what it feels like to be hard on myself. I know I am not alone in this. Being kind and compassionate to ourselves just the way we are seems to be very difficult for many people. Fortunately, it is possible to make changes in the way we treat ourselves. In my own life, through mindfulness practices and psychotherapy, particularly Internal Family Systems therapy, I have learned to practice self-compassion and have felt liberated and transformed though the process. I still have regular encounters with my inner critic, but our relationship has shifted tremendously. I now understand that my inner critic is always trying to serve me and have negotiated more effective ways for that part of me to help. I have also found other ways to be kind to myself. And, cliché as it may be, I truly have much more to offer others when I am compassionate and kind to myself. Below are a few of the practices that I find helpful in the journey towards self-compassion. Recognize. The first step is becoming aware of our pain and suffering. So much of the time, we are so disconnected from our emotions and inner experiences that we don’t even recognize the pain we are walking around with. Our unconscious pain may manifest as snapping at our loved ones, not wanting to get out of bed in the morning, or numbing out with internet, food, or alcohol. When we get stuck in self-criticism, self-loathing, or shame, it can be hard to see outside of that suffering. But as soon as we recognize we are in pain, we can do something about it. Create space. If we can take time for a conscious pause and some conscious breathing, that can help create space inside and create a bit of distance around this part of us that is suffering and our bigger Self, who we really are. In Internal Family Systems, we talk about asking that suffering part to “unblend” or “separate” a bit from us, so we can see the whole of ourselves with more clarity. Use the breath. We can use our breath as a tool to convey self-compassion. Imagine your breath carrying loving-kindness to your suffering. Let your inner parts feel the calmness that comes from breathing deep, slow breaths. Touch. When we are suffering, we can give ourselves some soothing touch—put our hand on our heart or rub our own arm, just as we might soothe a suffering child. This simple act can be quite powerful. Our touch alone can convey so much care and compassion. As mammals, our nervous system is designed to respond positively to warm, soothing touch, even if it comes from our Self. Honoring inner needs. We can ask our pain, “What do you need from me right now?” Maybe this part of us needs a warm bath or permission to do nothing. Maybe some larger action is needed. Finding a way to respect and honor our inner needs is another act of self-care and compassion. Going deeper. Often times, offering some self-soothing is enough. But sometimes more work is needed. Sometimes our inner parts have more they want us to understand about them. Journaling or talking to someone we trust about our thoughts and feelings can be a helpful way to explore our inner world. Getting help. It is easy to get lost when navigating our inner world, and a skilled counselor can help guide us through this process. Psychotherapy is one of the best methods I know of to cultivate a sense of self-compassion. Self-compassion is a practice that feeds on itself. The more we treat ourselves with kindness and care, the more we will want to continue doing so. However, changing our behavior is not easy. It’s helpful to be as gentle with ourselves as possible and know that we can always try again.